This just in! JT has been nominated for 3 iHeartRadio Music Awards! Categories include Song of the Year, Best Music Video, and Best Song from a Movie (Trolls) - all for JT's hit "CAN'T STOP THE FEELING!". 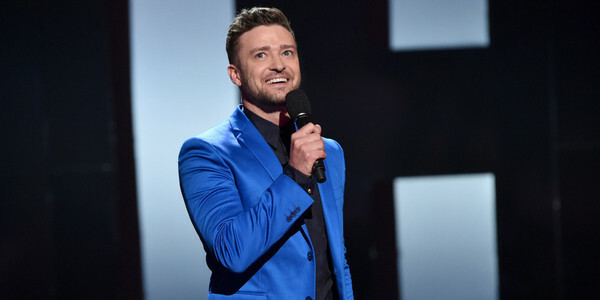 You can vote for JT in Best Music Video and Best Song from a Movie categories every day until Friday, February 24th. Sharing to social media? Add the hashtags #iHeartAwards, #CantStopTheFeeling and #BestMusicVideo or #BestSongFromMovie to your Facebook, Twitter and Instagram posts to cast your vote. Be sure to include all three! Good luck JT! And don't forget to tune-in live on March 5th on TBS, TNT or truTV at 8 p.m. EST/5 p.m. PST. Just like to say that your film Trolls has been a wonderful gift to my little girl. She is autistic and also she is adopted but she's never connected with music and film like she has with your latest work. She especially loves True Colours. I'd like to say 'thank you' to everyone who worked on this wonderful piece. I never post any thing but I felt I should say thank you. Congratulations! Do you do any work or speak about having cleft lip? You are an amazing man. I have been a fan since I took my kids to see you in N'Sync. As a Grandmother now, I am still a big fan. My Granddaughter was born with cleft lip & palate. She has had a tough road in her short 4 years and faces a lot in her future. I would love, love, love, to hear your story. I can find articles that say you had cleft but haven't found anything where you have spoken about it. It would also be simply outstanding if you could help to end the stigma and bullying that happens to cleft kids. You are so admired by kids and I think your voice would have a tremendous impact to help our children. My Granddaughter is such a delight. She has been a complete blessing. She is strong and confident and I worry so much that she will lose her joy once she goes to school. As a Father now, I am sure you can appreciate my anxiety over the thought of anyone being mean to her because of something that is purely cosmetic. I would love to hear more from you to help support these kids.